Bashmur (Coptic : ⲡⲓϣⲁⲙⲏⲣBishamir, Arabic: آلباشمر Al Bashmur) was an area in Egypt in which the Coptic Christians revolted against Arab rule in the 8th and 9th century. The name of the region most likely comes from Demotic pꜣ-šʿ-mr which literally means "the sand bank" where "sand" refers to Lake Burullus which has this name in both Coptic (ϣⲱ Sho:) and Arabic (الرمل ar-Raml). Lake Burullus is a brackish water lake in the Nile Delta in Egypt, the name coming from Burullus town. It is located in Kafr el-Sheikh Governorate east of Rosetta, bordered by the Mediterranean Sea in the north and agricultural land to the south. The Coptic name in attested in it's Bashmuric (or Dialect G) variant – ⲡⲥⲁⲙⲏⲣ (rendering Egyptian sounds like š with exclusively Greek letters (e.g. "ⲥ" instead of "ϣ") is a feature of the dialect). 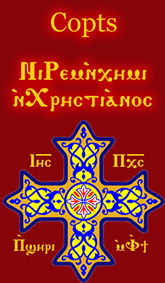 The Bohairic Coptic form of the name is ⲡⲓϣⲁⲙⲏⲣ. The boundaries of El Bashmur have not been constant throughout the centuries. Perhaps from the mid-eighth to the mid-ninth century, El Bashmur encompassed the entire marsh region northeast of Fuwa (Coptic : Ⲙⲉⲗⲉϫ, Melej) extending as far to the east as just north of Dekernes. Later it may have been limited to the eastern part of this area. The name El Bashmur survives in this region as the name of a Nile canal that breaks off about 4.5 miles (7 km) east of Mansoura, Egypt by El Salamun and runs through the area between the Damietta arm of the Nile and Dekernes before emptying into the El Sirw canal some 3.5 miles (5.5 km) south of Dakahlia. 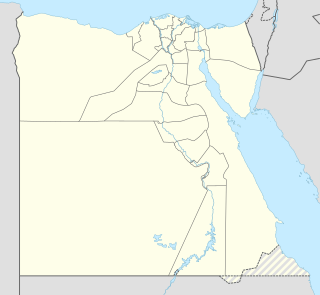 El-Mansoura is a city in Egypt, with a population of 439,348. It is the capital of the Dakahlia Governorate. Zagazig is a city in Lower Egypt. Situated in the eastern part of the Nile delta, it is the capital of the governorate of Sharqia. 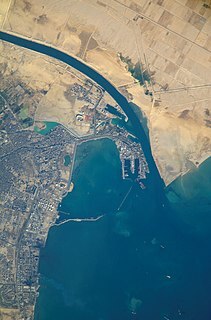 Rosetta is a port city of the Nile Delta, located 65 km (40 mi) east of Alexandria, in Egypt's Beheira governorate. Pope Christodolos of Alexandria, 66th Pope of Alexandria and Patriarch of the See of St. Mark. 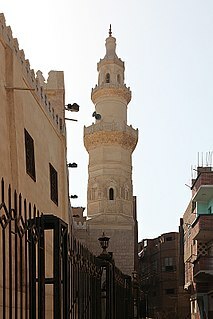 Sohag, also known as Sawhāj, Suhag and Suhaj, is a city on the west bank of the Nile in Egypt. It has been the capital of Sohag Governorate since 1960, before which the capital was Girga and the name of the governorate was Girga Governorate. It also included Esna Governorate. Wadi El Natrun is a valley located in Beheira Governorate, Egypt, including a town with the same name. The name refers to the presence of eight different lakes in the region that produce natron salt. El Balyana is a small town in the Sohag Governorate of Upper Egypt. Located on the west bank of the Nile, it is situated near the ancient Egyptian city of Abydos. Babylon Fortress was an ancient fortress in the Nile Delta, located in the area known today as Coptic Cairo. It was situated in the Heliopolite Nome, upon the east bank of the Nile, at latitude 30°N, near the commencement of the Pharaonic Canal, from the Nile to the Red Sea. Egyptians are an ethnic group native to Egypt and the citizens of that country sharing a common culture and a common dialect known as Egyptian Arabic. Bashmurian revolt was the revolt of the Coptic Christians living in Bashmur in the northern Nile Delta against the Abbasids, which occurred around 830. The revolt were attributed to oppressive taxation. The Western Desert of Egypt is an area of the Sahara which lies west of the river Nile, up to the Libyan border, and south from the Mediterranean sea to the border with Sudan. 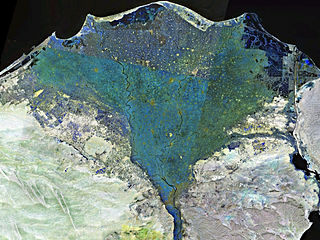 It is named in contrast to the Eastern Desert which extends east from the Nile to Red Sea. The Western Desert is mostly rocky desert, though an area of sandy desert, known as the Great Sand Sea, lies to the west against the Libyan border. The desert covers an area of 262,800 sq miles (680,650 km2) which is two-thirds of the land area of the country. Its highest elevation is 3,300 ft (1000m) in the Gilf Kebir plateau to the far south-west of the country, on the Egypt-Sudan-Libya border. The Western Desert is barren and uninhabited save for a chain of oases which extend in an arc from Siwa, in the north-west, to Kharga in the south. It has been the scene of conflict in modern times, particularly during the Second World War.